Having clear employment policies is crucial for employers, but those policies are often only as good as the supervisors entrusted with carrying them out. Robin Shea, a partner at the national law firm Constangy, Smith, Brooks & Prophete, and author of the firm’s award-winning Employment & Labor Insider blog, speaks frequently on training issues, and offers her expertise in XpertHR’s webinar, Supervisor Training – Your ‘First Line’ of Defense. Here are a few of Shea’s insights reformulated in a Q&A session. What is a great way to engage supervisors? In addition, Shea stresses a practical approach to presentations. “Fact patterns based on the type of workplace you have and actual situations that have actually resulted in litigation or in sticky HR issues for you or other employers you know” are an excellent way to connect with attendees. Communications play a role too. “Speak in a real-world way to supervisors,” Shea advises. Legal definitions of some of the legal concepts are not very helpful, but if a trainer can give people some specific examples of the concepts, then the presentation becomes clearer. What is the best format for training? “Interactive,” says Shea. 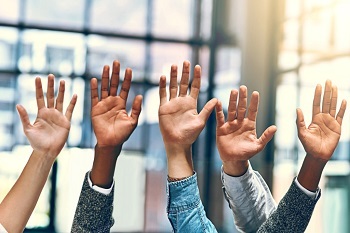 Although the easiest and cheapest way to provide a training program may be to opt for a non-interactive option (for example, a simple video), if an employer has the means to do a format that allows for questions, then that’s a much better option. What are some subjects that should be included in supervisor training modules? Shea stresses supervisor training on labor and employment law compliance, with a focus on discrimination, harassment and retaliation. She notes that retaliation accounts for the majority of complaints that have been filed with the EEOC for the last few years. Have you seen more complaints as a result of recent sexual harassment and assault scandals? Shea addresses the current national conversation on sexual harassment prevention by stating, “I do think we will see more complaints over the same year.” Shea says that the issue is very difficult to address effectively when the complaint involves an executive who only answers to a board of directors, or is otherwise extremely powerful in the organization. What kinds of high-risk behaviors do you caution supervisors to be on the lookout for in the workplace? Shea cautions supervisors to identify high-risk behaviors that are not necessarily illegal. For example, consensual sexual relationships in the workplace raise the risk of liability. Depending on how the relationship begins or ends, the parties’ marital status or power dynamics, even a consensual relationship may affect workplace morale and raise harassment concerns. In addition, ethnic jokes raise discrimination and harassment risks in the workplace. How do you avoid retaliation against an employee? Shea explains that “the worst scenario for retaliation” is when a current employee files an EEOC charge or takes another action against the company. Those employees need to have a safe place to go and vent. What about labor relations training? Should a union-free employer take any action to train supervisors in this regard? How should supervisors be trained with respect to employee leaves? Supervisors “need to know that it’s illegal to discriminate based on military service,” and also that many laws protect leaves at the federal, state and municipal level. A supervisor may even assist HR in the interactive process with respect to disability leaves. However, employers need not ensure that supervisors know all of the details of leave laws. Often, these details would be better for HR and inside or outside counsel to handle. Of course, with respect to administering any protected leaves, supervisors should know to refer complaints to HR. What is the best way for a multistate corporation to conduct training? Shea explains that the answer depends on the jurisdictions in which a corporation operates. Federal content could be provided to a broader audience, with more tailored content provided on a state or regional level. “If one of those states is California, you may want to do a separate training in that particular jurisdiction,” Shea advises. “For other areas, a regional training program” may suffice. As an example, she cites the southeast as an area where a regional training could work because the laws are fairly similar. What about wage and hour issues? Shea explains that “the most troublesome right now” is that nonexempt employees may handle texts or emails during off-hours or during a commute. This activity is compensable and difficult to track or control. However, if a supervisor believes that an employee is performing unauthorized overtime, then the supervisor should inform HR. How should supervisors ensure a fair workplace? Shea stresses that “supervisors should avoid even the perception of favoritism.” Being as even-handed as possible wards off potential discrimination claims. Can you ask employees to provide details at all if they’re just calling in sick? Shea warns, “I probably wouldn’t probe. But a lot of employees will volunteer the details.” While a supervisor shouldn’t inquire as to those details, a supervisor should take down the reasons, as verbatim as possible, that an employee may provide for an absence. Any other supervisor training questions? Engage with us on Twitter @xperthr_usa and let us know!